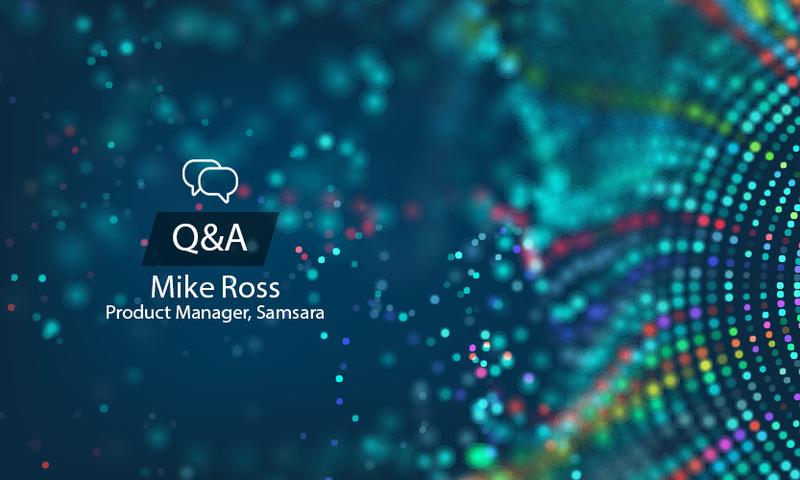 In this Q&A, we spent time with Mike Ross, who is the Lead Product Manager at Samsara, to discuss today's technology trends in school transportation. Mike will detail how transportation departments can utilize data to become proactive problem-solvers, identify ways in which these departments can continue to innovate in the face of budget constraints, and communicate how the Samsara platform works with the SafeStop mobile app to ultimately bring a greater peace of mind for users. Briefly tell us about Samsara and your solutions for K–12? The first is through our vehicle gateways, which collect and transmit GPS location and engine diagnostic data directly to the Cloud, while also providing transportation managers visibility into potentially unsafe or hazardous driving behavior. Secondly, we provide dash cameras to further enhance safety and to potentially exonerate drivers in the event of an accident. Finally, we also offer student ridership tracking through NFC-based cards and readers. With these tools, transportation leaders can see the location of their entire fleet in real time and the ETA to each stop, as well as which students are on which bus at any point in time. All of this information is pulled together in our Cloud platform so that, at a district level, it’s easy to monitor operations, analyze and optimize routes, monitor fuel usage, balance bus loads, and quickly answer parent inquiries from a single dashboard. What are the top technology trends you see reshaping schools’ transportation departments? The primary trend I see reshaping transportation departments is that you can now track more things at a lower cost. Data transmission costs have dropped dramatically in the past few decades, so that what used to cost hundreds of dollars is now in the tens. This reduction in price means that real-time bus tracking, which was once cost prohibitive, is now well within the realm of possibility for districts with even modest budgets. The other big trend I’m seeing is that districts no longer need to have many separate systems for all the things they want to track. There’s a move towards consolidating individual solutions into a single, comprehensive platform. So now schools can access many different capabilities, such as dispatching, routing, and maintenance, all in one place. The centralization of all this information provides a bird’s-eye view of what’s going on, while the consolidation of data, as offered by tools such as SafeStop, makes answering questions and creating actionable responses easier. How can district transportation departments become more proactive as opposed to historically being reactive? In the past, it was hard to proactively address issues or solve problems, because often, transportation directors didn’t know about a problem until it had already happened. Or, they knew there was a problem but had no streamlined way to let the school community know what was going on. But now, technology is enabling transportation directors to get ahead with outbound communication, before issues turn into major problems. So, for example, if a bus leaves the yard late and is starting the route behind schedule, districts can notify parents proactively (and automatically) that the bus is running late, rather than letting the issue snowball and addressing questions or complaints one by one as they come in. How are transportation leaders handling community requests in the Information Age? How can they improve? Where should they focus first? Living in an age of instantly available information has significantly shifted people’s expectations of how everyday experiences should work. Companies like Uber or Lyft, for example, have revolutionized how we think about consumer transit. And, there’s an expectation that the school bus experience should change with the times, too. As far as where transportation leaders should focus their efforts, I’d say that they should concentrate on parent communication and access to information. These efforts are going to be highly specific to each district as every community has its own threshold for privacy versus open access to information. This is something school leaders in general, and transportation leaders in particular, will have to be sensitive to. As directors evaluate and deploy tools, one of the things they should take into consideration is whether those tools allow them to tailor the level of information sharing to their community’s preferences. With so many school districts facing state budget reductions, which will undoubtedly affect transportation, how can these departments continue to innovate and embrace new solutions for efficiency and safety gains? I think the key to continuing to innovate in the face of budget constraints is recognizing that new solutions can themselves save school districts money, or make it easier to receive funding. By tracking buses, a district can plan more efficient routes and reduce idle engine time, both great ways to save on fuel costs. Engine diagnostics and alerts about engine faults enable districts to be proactive about maintenance and, once again, save some money. In fact, Samsara offers an ROI calculator so that you can plug in your own numbers and see the potential savings. Another way that new technology can help districts is by streamlining the funding request process. By tracking student ridership data automatically, on a daily basis, districts are better able to gauge how much funding they should be requesting. In a funding reimbursement scenario, transportation directors can use ridership data from all days rather than basing it off of a sample set of a few arbitrary days. Medicaid also has complex requirements—sometimes so much so that districts forego the process just because it’s too onerous to qualify. But with a student tracking solution, it becomes much easier to gather the necessary data to file for the support for the programs and activities a district is running. Tell us about how your GPS products work with SafeStop? Samsara provides an all-in-one data platform so that transportation directors can view bus locations and monitor route progress in real time. Using our secure application programming interface (API), SafeStop can pull data from Samsara’s dashboard into the SafeStop mobile app to keep parents in the loop. By giving parents a unique login to track their child’s location with SafeStop, school districts can create a more seamless transportation experience for the community and eliminate the need for calls to the school office about bus arrival times or student whereabouts. To put it simply, Samsara gives transportation teams peace of mind that bus routes are running smoothly, while SafeStop brings that peace of mind to parents with visibility into their children’s location.